Well, I don’t know that I can think of anything more confusing than words with ‘ow’ sound. The words with ‘ow’ sound can makes two different sounds. They can say ‘ow’ like ‘wow’ or the can say ‘o’ like ‘grow’. Talk about crazy and talk about confusing, and talk about hard to teach! 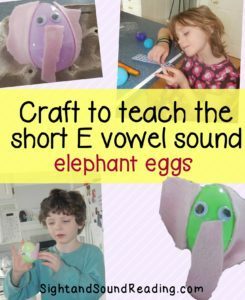 Mrs. Karle always says that letters are magic, and that phonics and making the letter sounds in magic. This truly is magic -the words with ‘ow’ sound can make two different sounds. What will they think of next? 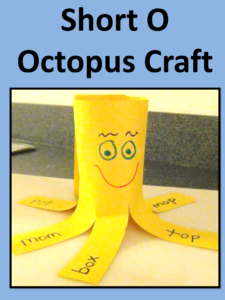 To teach these words, I made a flower. Then, I put some of the words around the flower. 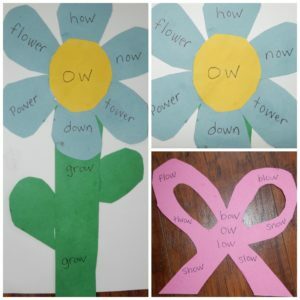 You could add a second layer of petals to add even more ‘ow’ words that say ‘ow’ as in ‘flower’. If I were teaching this in a class, I would stop there. 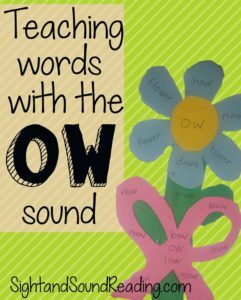 All week -for a week or so, I would focus on the words with ‘ow’ sound as in ‘flower’ and make sure the students really know that the ‘ow’ makes the ‘ow’ as in ‘wow’ sound. 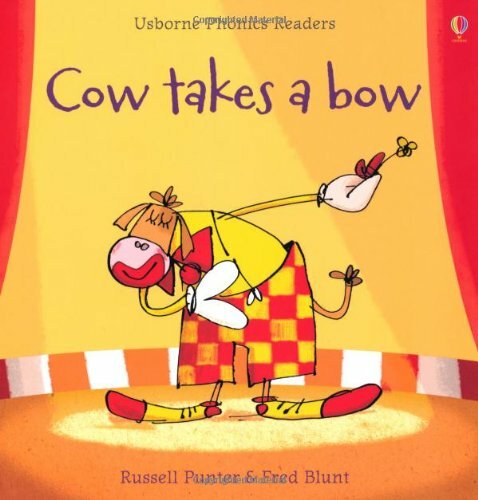 I would read a book like Cow Takes a Bow to further practice the ow sound. You could make it a yellow bow! (I made mine pink).